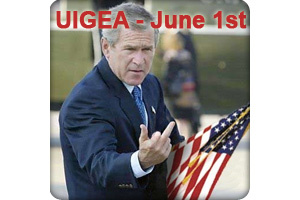 After a failed attempt to sway one of online poker’s harshest critics, Representative John Kyl (R-AZ), it appears that online poker players should be ready for an even stricter online poker climate after June 1st, when the UIGEA law of 2006 goes into full effect. Former Representative in Congress and current Poker Players Alliance Chairman, Alfonse D’Amato, met with his former colleague to try to hash out an agreement that would exempt poker from UIGEA mandates on gambling. The word from the PPA on the meeting was that Kyl wouldn’t budge, and no exceptions would be made. The entire poker world, as well as pro-online gaming supporters in Congress like Barney Frank (D-MA) are hoping that the UIGEA will be seen as the failure it truly is when it does nothing to deter online poker players from the US in participating in online poker games. The law does make it illegal to play online poker; it only makes it illegal for banks to process the transactions to and from these sites. So the PPA and online poker supporters have been urging anyone with a real-money account to continue playing in an effort to show politicians exactly how useless and unenforceable the UIGEA legislation truly is. This entry was posted on Monday, May 24th, 2010 at 9:47 pm and is filed under Poker News. You can follow any responses to this entry through the RSS 2.0 feed. You can leave a response, or trackback from your own site.